This Mother’s Day, we want to honor the moms of our heroes, whether they are moms of firefighters, police officers, teachers, military service members, healthcare professionals, or EMS members. Being the mother of a hero must make you proud and worried at the same time. You know that your child chose their line of work because they want to help others, but you also worry about their career path because of who they are serving and the sometimes tense situations they deal with on a daily basis. You raised an amazing person who wants to help those in need, and we appreciate you for that. So today, we want to honor all moms everywhere. Thank you for your support, dedication, and love that you have given to your children that have molded them to be our Heroes of today. This year’s Mother’s Day falls on Sunday, May 13. It has been an official holiday in the United States since 1914, following Anna Jarvis’s creation of the day in 1908, along with the help of John Wanamaker. Previous to that, women’s groups had been holding meetings for mothers whose sons had fought during the Civil War. 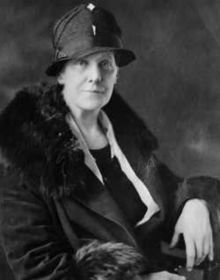 Anna Jarvis’s mother, Ann, created a committee in 1868, hoping to establish a “Mother’s Friendship Day,” formed to reunite families who had been apart during the war. She wanted to make an official Mother’s Day but died before she was able, allowing her daughter to continue Ann’s work in her name. When you read about the history of Mother’s Day, you’ll find mothers nationwide trying to establish peace. In 1872, there was a “Mother’s Day for Peace” held in New York City. In 1877, the two sons of Juliet Calhoun Blakely were moved by their mother’s call to other mothers, asking for them to join her in the anti-temperance movement. They vowed to return each year to pay tribute to Blakely and urged others to do the same. In 1904, Frank E. Hering, administrator at the University of Notre Dame, noticed students sending penny postcards to their moms, and started advocating for a national Mother’s Day. He noted that men throughout history give the credit for their achievements to their mothers, showing how important it is to honor them with their own national day. In 1913, the U.S. House of Representatives called on all federal government officials to wear a white carnation for the observance of Mother’s Day. In the following year, on May 8, the U.S. Congress designated the second Sunday of May as a day for American Citizens to honor the mothers who had lost their sons to war. Today, moms have sons and daughters alike who choose to serve their country and communities by joining the military or by becoming teachers, firefighters, police officers, medical professionals, and EMS service members. Moms understand that what their children are doing is essential to society and our nation. They’ve raised amazing people who want to make a difference in the world, and moms know that their kids will soon deploy to unnamed places in the world, or will rush into a burning building, or will chase down an assailant. 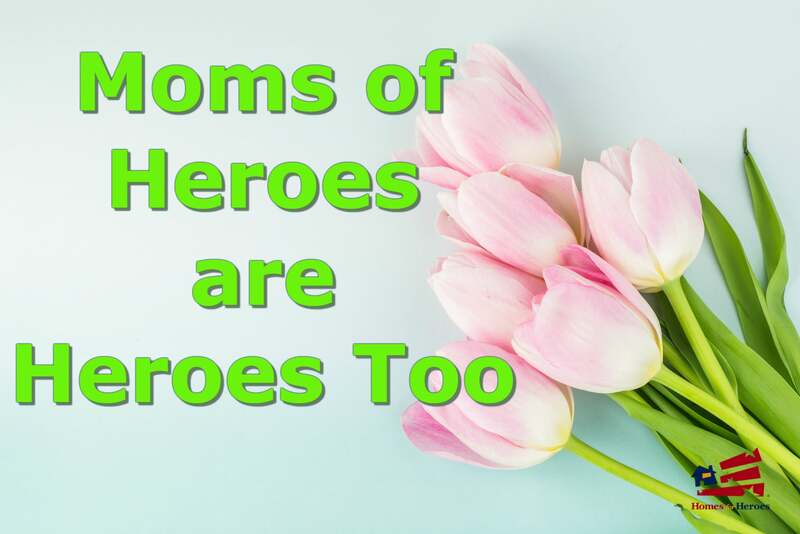 Our heroes chose their professions because they wanted to help make our world a better place, and their moms have been behind them every step of the way. Moms are there when we tell them we’re joining the military, and they are there when we come home from training. They may not want us to go, but they know we have to, and they support us before, during and after we come home. 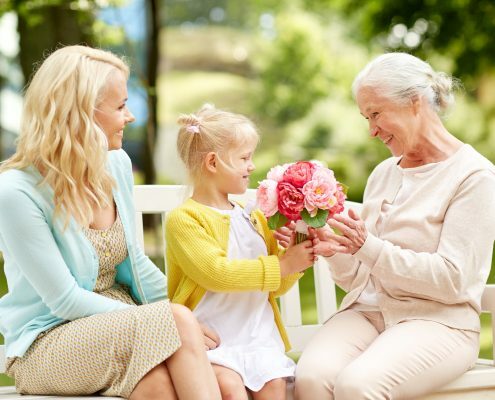 When it comes to celebrating moms, you have the chance to show your mom how much her support means to you. There are many ways to tell her “Thank you,” but here are some ideas that can help you get started. If your mom loves getting flowers, knock her socks off. White carnations are the official flower of Mother’s Day. 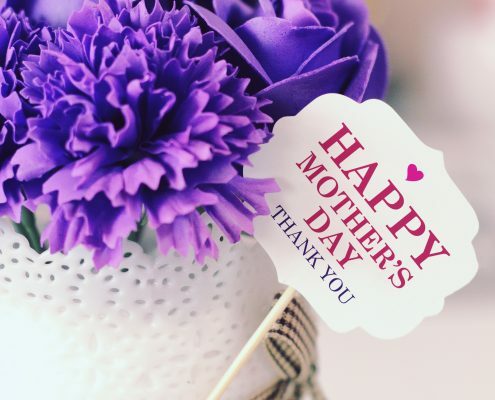 Anna Jarvis delivered 500 to the first celebration in 1908 because it was her mother’s favorite flower, but again, go with what you think your mom will appreciate, as this day is all about her. You can also buy her a potter flower or fruit-bearing tree. A plant or tree will last longer than a bouquet of flowers, and every time she sees it, she’ll think of you and smile. If you have kids, take them over to see Grandma. A lot of moms like to spend Mother’s Day surrounded by family because that’s what makes it special. Take your mom out to breakfast, or take her shopping. If there’s something she’s always wanted to do, work with your siblings to make it happen. You know your mom, so use that knowledge to make her Mother’s Day special and unique. If your mom is not nearby, you can still send her a card, flowers, or a gift card so she can spoil herself. Make sure you call her on Sunday and let her know how special she is to you. Moms appreciate gifts, but they care more about your happiness, so letting her know you care will go a long way. If you know moms, even if they aren’t your own, let them know you care on Mother’s Day by telling them “Happy Mother’s Day.” Moms know that what they do as parents is significant, just like heroes know that providing service and safety for their community and nation is essential. Moms don’t choose to be parents for the appreciation, and heroes don’t choose their careers because they need or want recognition. That’s why telling them “thank you” and showing your appreciation is so important.